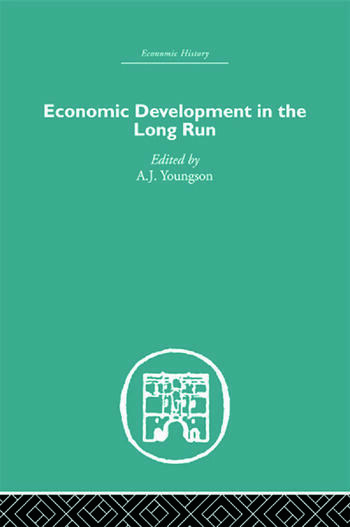 This book enlarges our understanding of economic development by bringing together items or aspects of historical experience relevant to the present-day problems of developing countries; by looking at the problems over a longer period than is usual in development economics, so that the influence of underlying forces may be made evident; and by comparing the experiences of different countries in similar situations. A variety of countries are dealt with and most of the significant problems in development economics are covered in one context or another. The authors of this symposium, each an internationally acknowledged authority, offer expert assessments of development as it has actually taken place. The chapter by Professor Rosovsky shows what is significant, what is peculiar and what could be imitated in Japan; Professor Black takes the little-studied case of Ireland, and Dr Macpherson gives an informed and balanced account of Indian development. This unique book was first published in 1972.